La Buire was founded in 1847 to produce chassis for rail cars. In 1900, the company joined forces with Léon Serpollet and turned to automobiles. Their first car was presented in 1904 and the marque lasted through 1930. This “Type 8000” is a coupe with house-like windows and a very carriage-like appearance. It’s powered by a four-cylinder engine, likely displacing 3.2-liters and rated at 12 horsepower. It was the the company’s small car for 1910. It’s an older French car with a very nice interior. It’s definitely the most interesting-looking example of a La Buire I’ve come across in the past decade. It should bring between $25,000-$37,000. Click here for more info and here for more from this sale. 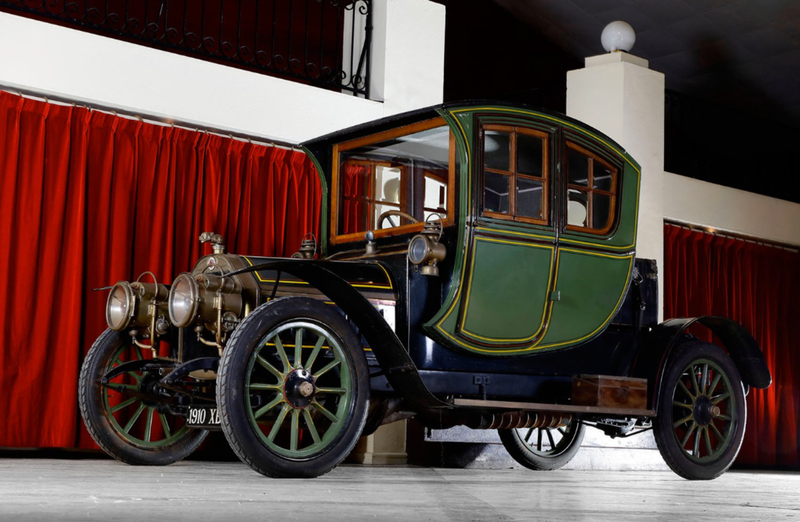 This entry was posted in Uncategorized and tagged 1910, auctions, cars, classic cars, la buire, osenat, type 8000 by classiccarweekly. Bookmark the permalink.